Welcome to the home of the X One Design Class Association which manages the affairs of the whole X One Design (XOD) Class. The XOD fleet is based in six places along the south coast of England, from Poole Harbour in the west to Chichester Harbour in the east with four bases in between, two on the Isle of Wight and two on the mainland. You can explore this website to find plenty of information about the fleet, together with how to join in the fun and become involved. There are links below to each of the six fleets or Divisions as they are called, and if you need more information, just get in touch. There are full racing programmes, of typically at least 50 to 60 races per season, for up to 140 boats in six Divisions around the Solent area: at Cowes • Hamble • Itchenor • Lymington • Parkstone • Yarmouth. 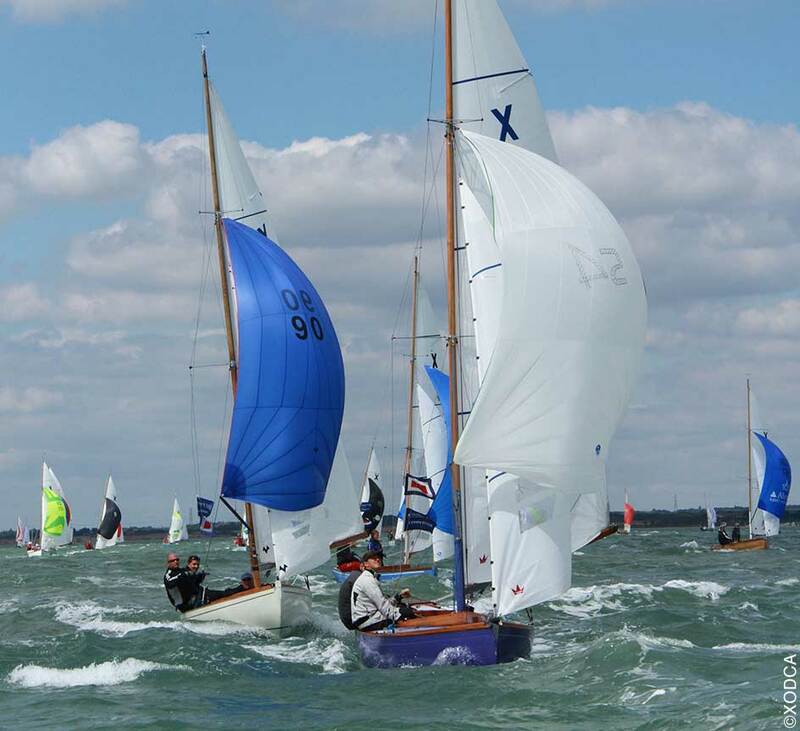 Our annual championships are held during Cowes Week and in recent years have attracted more than 50 XODs (88 in 2010). In 2011, our centenary year, we managed a remarkable 145 entries and enjoyed some high quality racing in (mostly) breezy and exciting conditions. The enormous success of Cowes Week is the clearest possible demonstration of the strength of a Class which attracts old and young, rich and poor, fit and not so fit to compete in high quality one design racing on equal terms.